The goal of your open house is to get as many people in the door as possible, right? What if we told you that you may be unknowingly sabotaging your efforts? It’s not enough to simply drum up traffic online, a large percentage of your open house visitors will come from foot traffic. 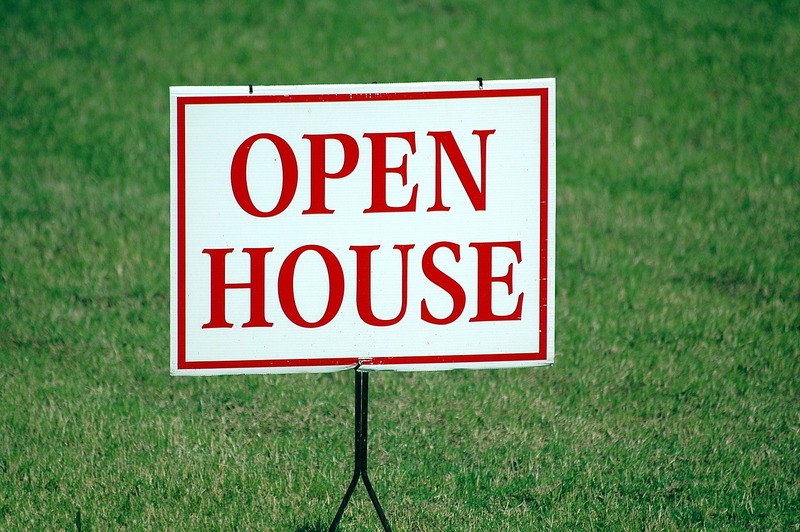 This is why you must be strategic when it comes to placing and creating your open house signs. One sign isn’t going to cut it. Often a singular sign can simply add to the confusion since there is no clear route outlined for what home is actually the one having the open house. You want to have a clear path for prospective buyers to follow. If there is a stop sign where they must go right, this is where the sign needs to go. Basically anywhere that a turn or change of direction takes place is where the signage must be easily viewed. Perhaps even worse than the singular sign is the unmarked home. Potential buyers have made the journey to come and see the home only to have a guessing game when it comes to figuring out where the open house is. You can avoid this confusion by adding balloons, signage, whatever easily identifies the house from the road. This may seem like a no-brainer but it’s still a mistake that is often made. Chances are, you aren’t the only agent having an open house. If you neglect to add your brand and information, you may be sending potential buyers to the competition! You will want to make sure there is no doubt in the buyer’s mind who you are, where your open house is, and that you are the one who is hosting it. This issue goes along with the previous problem of having an unbranded sign. In addition to making sure that your name is front and center, you must have the home address. Think of yourself as someone who has never been in the neighborhood. Adding the address and your personal information is going to make it much easier for potential buyers to find you and your listing. So what if you haven’t made any of these mistakes? Not so fast. Another common mistake is having the information on the signage…but the writing is too small. Buyers are not going to want to stop and get out of their car just to try and read what your sign says. When designing your open house signs, make sure you step back and take a good look from far away to make sure your sign is legible. When it comes down to effective signage placement and creation, take yourself out of the role of agent and place yourself in the position of the buyer. Can you answer who, what, when, where, and why when you look at your sign, even from far away? If so, you are on the right path for success. Remind your leads why they need you with this FSBO infographic.